Safari Hats are not only exclusively worn on outdoor and western trips but you can wear them on a variety of occasions. Wear them while fishing, hunting, or camping. These hats will keep your head cool while under the sun for a long time. Whether for fashion, shade, or intimidation, Safari hats and Gambler hats are a viable option. These types of Cowboy and Outback Hats have an indented crown which sets them apart from other hats. They normally have a hat band wrapping around the perimeter of the crown and although some bands are larger than others, each band gives Safari hats their own flavor. These hats are offered in several different colors, giving everyone a chance to pick their favorite. Gambler hats are great to own because of they have a large oval shaped crown. This distinction makes Gambler hats a very special hat to own, as they are not like any other hat. Safari hats have an adjustable string for heads of any size to fit comfortably. The beauty of these hats is that they can be used in both large-scale adventures and in everyday life in general. Whatever the occasion may be, Safari and Gambler hats are always an option. Hats are made to protect your head and face from the burning heat of the sun as well as other weather elements. 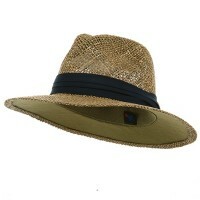 If you are looking for a hat that can provide optimum protection while you are outside, then Safari Hats are for you. Whether you are going on a safari or to the beach, safari and Gambler Hats are great for protecting your head and face from the heat of the sun. 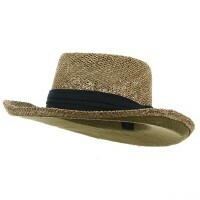 Here at e4Hats.com, we have a wide variety of Safari Hats in different sizes, shapes and colors. There are many other Outdoor Hats that you can try and if you want a simple and practical hat, then why not try the Sports and Fishing Hats. These hats are designed not only to provide sun protection while you are under the sun waiting for the bait to move but they are also designed to float thus making them convenient especially if they accidentally get into the water. But if it is extra sun protection that you really need, then the Flap, Neck Cover Hats is for you. These hats do not only provide sun protection on your face but also the rest of the head as they come in with flaps for the ears and neck.